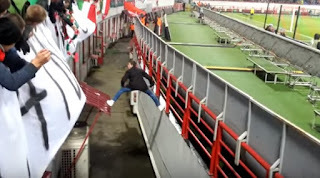 #TVisCOOL: Russian Football Pitch Invader Epic Return to the Stand! Russian Football Pitch Invader Epic Return to the Stand! Выпрыгнул с сектора после гола, и смог вернуться! Парень красава! He jumped out of the stand after the goal and was able to return!